so, i spent some time working at nike last year as a mens running specialist, where i got the chance to get clued up with nike + technology and their footwear. running and going to the gym seems bigger than ever at the moment, myself i love the gym! nothing makes me feel better than a good workout and if you're going to get involved in getting yourself up and fit you need the right shoes for the job! i would fully recommend any serious runners out there to go and get their gait tested. this is a test that involves you running on a treadmill for a few seconds while a camera captures the movements in your ankle and foot when you land. by slowing these images you can then advise the best shoe for the amount of support you need! however if you're not going to be the next mo farah a neutral or cushioned shoe will not do you any harm at all! neutral - for people who don't over pronate or under pronate in any greater form. has good cushioning and stability - a good all rounder! Click Read More to find out what they are. the air pegasus is one of the best selling running shoes, it's neutral so covers nicely all aspects needed in a running shoe - a perfect beginner shoe! they are super comfy and come in a range of exciting colours and are at a more than reasonable price point! they have a nike zoom insole, which absorbs shock (some of you SB fans might know this from nike zoom janoskis) and the premium cushion foam provides a soft cushioning. these i really do recommend and sometimes you can pick them up in outlets for an amazing £60 - they are also available to customise till your hearts content on nikeiD. finally a flyknit for the ladies! 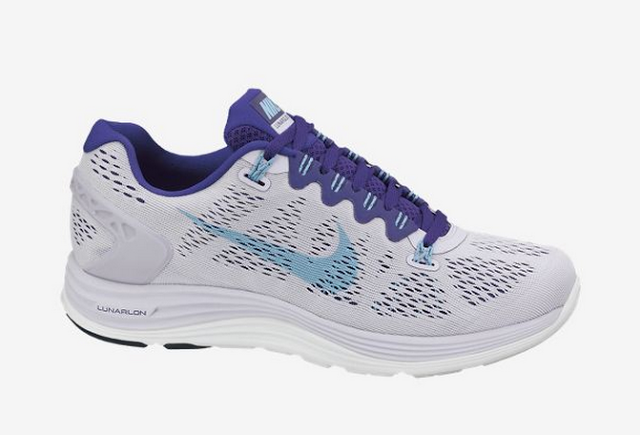 a super light weight beautifully designed shoe now with lunarlon. 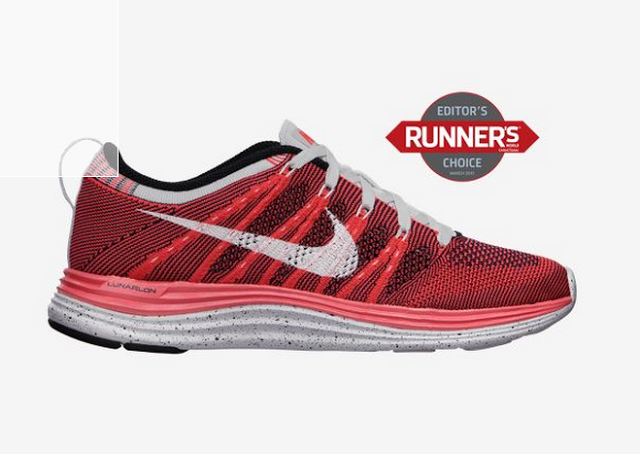 with a super breathable, lightweight and seamless upper the flyknit is one of the lightest. built up of woven stretch fibers it has enough stretch to allow the foot to not become restricted and the lunarlon sole provides amazing springy response. these are much like walking on a cloud and if you have the cash to go for a pair of these i don't think you would regret it! also they are now available on nikeiD to customise to your tastes - amazing! my favourite of all the running shoes, what i always recommend and what i work out in myself! a fantastic shoe, the lunalon sole provides amazing cushioning on impact, absorbing shock but giving you an extra spring to push off again. the upper is made of seam free mesh to allow breathability. the fly-wire technology inside the shoe that wraps around the mid-foot and arch integrates with elasticated lace loops, giving you a close fit without that horrible tight pressure on the top of your foot! the dynamic support underneath the heel of the shoe adapts to how you land, making sure you are supported at all times keeping your ankle straight as you land to stop you over pronating. they have built in 3m so you can be seen if running at night also! these are also available on nikeiD so there is no worry of getting the perfect shoe to match your gym kit! nike free enables the runner to experience the feeling of running barefoot. 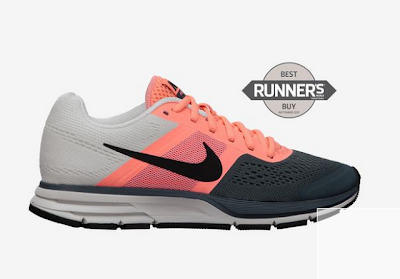 this shoe has cushioning but it is minimal, would always recommend if you are going to get into barefoot running you start with the 5.0 first as it has the most cushioning of the nike free series. the best is to start running little distances outside in these, as you begin to land on your toe rather than your heel and you need to allow time for your foot muscles to develop into this sensation. the free is completely flexible you can roll it up into a ball near enough enabling no restriction of movement in the foot. again this shoe has flywire technology to give you that extra stretch on the top of the foot stopping restriction. these shoes do size up small so i always recommend going up 1-1/2 size. 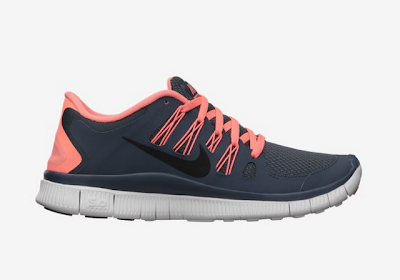 available on nike iD where you can customise parts from all styles of freerun to create your favourite runner! with any shoe the best is to go in, grab one of each style and try to see which is the best for you. i've never looked back from getting my lunaglides and it's worth spending the extra bit of money to have a shoe that will last and only work to improve your work out! BORED OF SOUTHSEA - SHOP OR DIE!